AMD has just released the full source code of FireRays, their OpenCL based GPU renderer which was first available as a SDK library since August 2015 (see http://raytracey.blogspot.co.nz/2015/08/firerays-amds-opencl-based-high.html). This is an outstanding move by AMD which significantly lowers the threshold for developers to enter the GPU rendering arena and create an efficient OpenCL based path tracing engine that is able to run on hardware from AMD, Intel and Nvidia without extra effort. Nvidia open sourced their high performance CUDA based ray tracing framework in 2009, but hasn't updated it since 2012 (presumably due to the lack of any real competition from AMD in this area) and has since focused more on developing OptiX, a CUDA based closed source ray tracing library. Intel open sourced Embree in 2011, which is being actively developed and updated with new features and performance improvements. 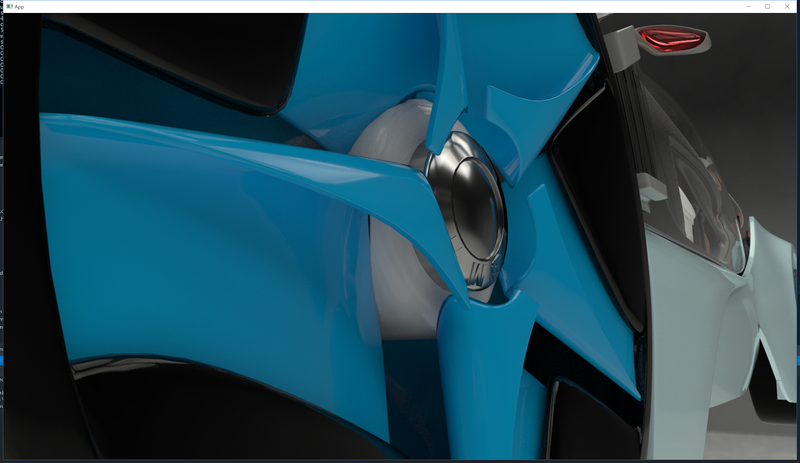 They even released another open source high performance ray tracer for scientific visualisation called OSPRay. FireRays seems to have some advanced features such as ray filtering, geometry and ray masking (to make certain objects invisible to the camera or selectively ignore effects like shadows and reflections) and support for volumetrics. Hopefully AMD will also release some in-depth documentation and getting started tutorials in order to maximise adoption of this new technology among developers who are new to GPU ray tracing.